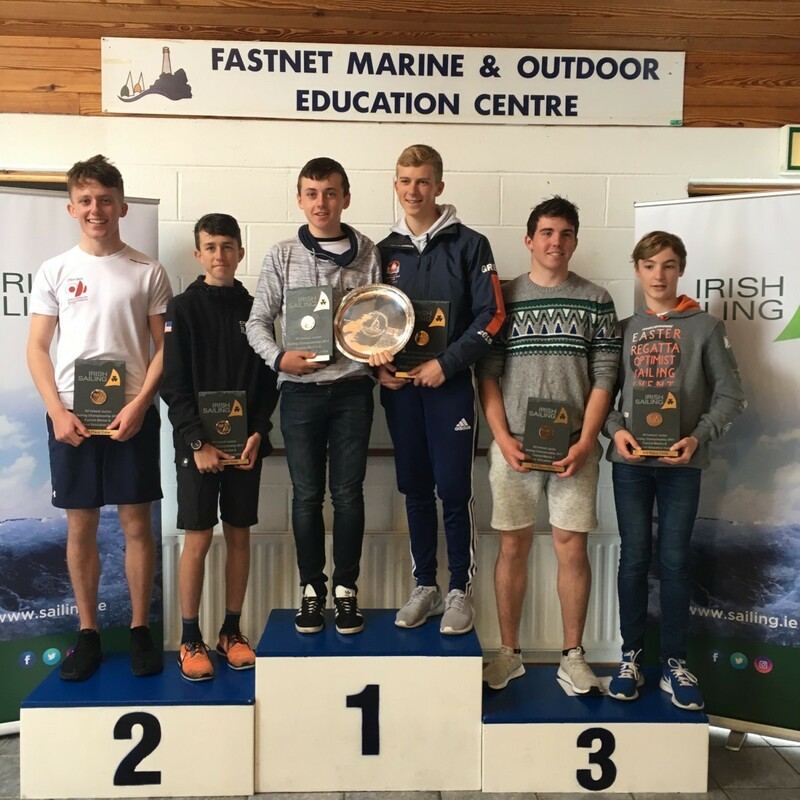 The Irish Sailing All Ireland Junior Championships hosted by Fastnet Marine & Outdoor Education Centre in Schull, was held last weekend in a full range of conditions. Saturday was misty with light and shifty wind conditions for completing 6 of the scheduled 9 qualifying series with overnight leader Johnny Durcan holding a marginal lead. Sunday’s promise of 30+ knots thankfully did not materialise, however it was decided not to run the balance of the 3 qualifying series and to go straight into the Medal Race where Michael O’Suilleabhain with crew Michael Carroll (both KYC and RCYC cadets) sailing under their home club burgee of Kinsale YC, prevailing to win the 2017 Junior Helmsman. 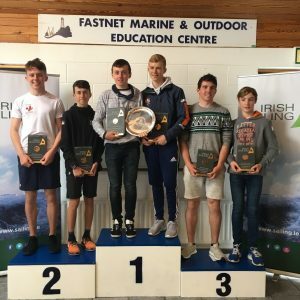 Rian Geraghty-McDonnell (NYC) with Harry Durcan (RCYC) crewing, came second place with Loghlen Rickard (NYC) and Nathan Van Steenberge completing the podium in third on count back from RCYC’s Ronan Walsh. First Girl was Leah Rickard. 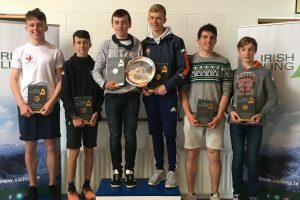 The Royal Cork were well represented at the event with seven of the 16 invitees as follows; Ronan Walsh, Cian Jones, Luke McGrath, Jack Fahy, Micheal O Suilleabhain, Chris Bateman and Johnny Durcan. Well done to all our cadet sailors.